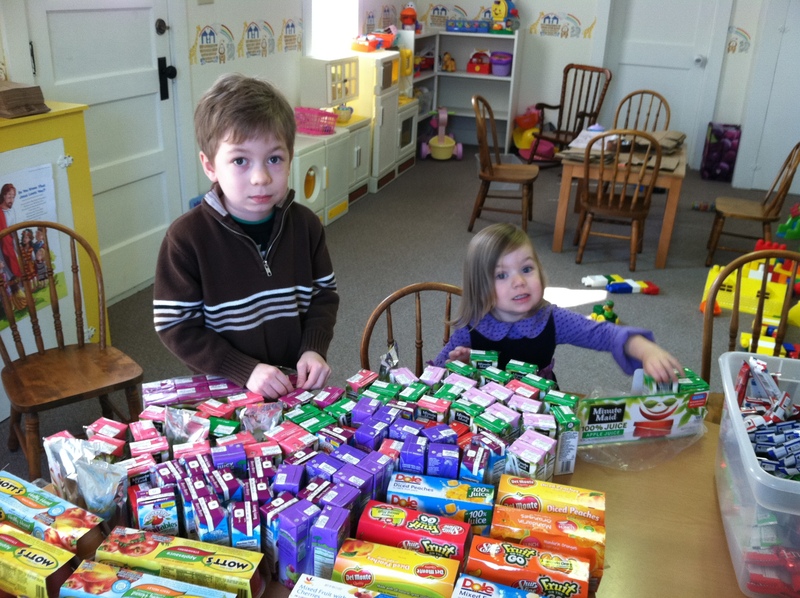 During the month of February, with the help of a generous congregation, the children in our Sunday School and Nursery programs collected donations of juice, cereal bars, and fruit, and assembled the food in brown bags marked “Breakfast” for distribution to people in need by local Christian outreach and support center, Shepherd’s Staff. The project provided a tangible way for the children to help others after reading about the miracle of the loaves and fishes. 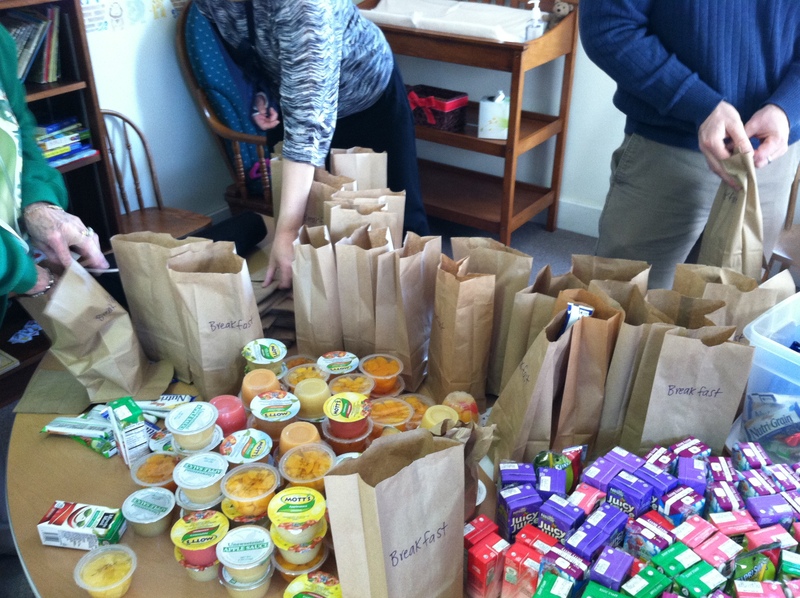 Children and adults joined together following church on Sunday, February 24 to make the breakfasts. 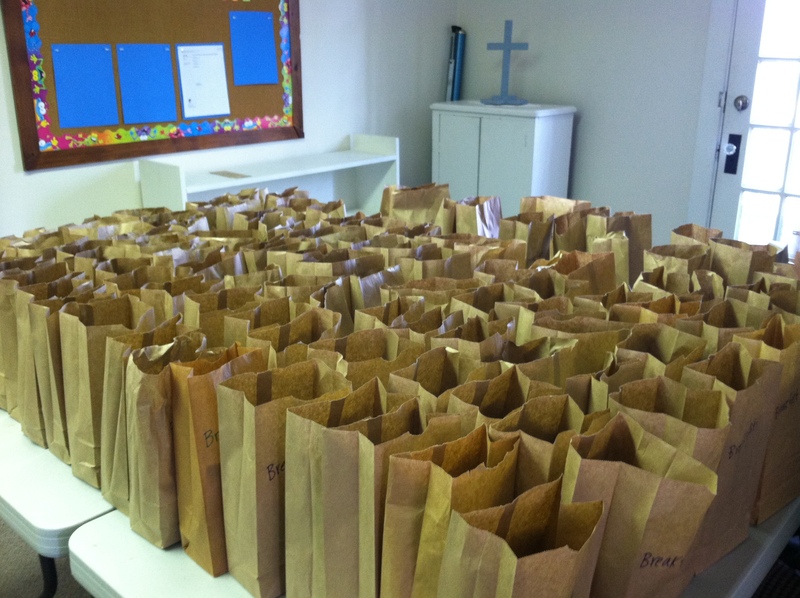 At the end of the morning, 105 breakfasts were ready to deliver to Shepherd’s staff! The children are so proud that they are big enough to help with a project that has an impact in our community.